The preponderance of project management goes toward planning, leaving a lack of emphasis on execution. When IT leaders say they’re investing in execution, the investments generally go toward the technical elements. When project managers are running too many projects, there isn’t enough project management bandwidth to conduct flawless execution. In order to get every last detail right, leaving no breaches and no margin of error, the leadership can’t slack after creating the baselines. There needs to be enough strong leadership in place to ensure the technical resources are getting their homework done to the exact schedule, budget, and spec or there will be variances. When those variances go unnoticed, the scope creeps, and when there isn’t enough strong leadership to establish project control, the necessary adjustments aren’t made to save the project, and it goes off the rails. When projects go over budget, they fail. When projects don’t finish on time, they fail. When projects don’t meet the specifications, they fail. When the specs fall out of alignment from the business case, they fail. We prevent these dimensions of project failure by choosing influential leaders who can navigate complex company cultures and proactively identify predictable points that lead to project failure. We prevent project failure because we listen to our clients. We have a conversation and find the root cause of their problems. Then as a trusted partner work together on the solution. We are experts in selecting the right Project Management candidate, providing the best Project Management solution and delivering top training to our clients. Project Assistants selects the right project managers for project opportunities when failure is not an option. We choose influential leaders who can navigate complex company cultures and proactively identify predictable points that lead to project failure. Project Assistants’ consulting practice supports our onsite Project Managers with a layer of quality assurance from our team of Project Management experts. Through a tough-love approach and reality-based interview process of both the candidate and the company, Project Assistants recruits project managers for our clients that ensures project success. Project Assistants uses best practices, proven technology and highly trained consultants to optimize your business strategy. By working with you to define and select the right portfolio of projects and improve the execution of those projects, we guide you to better, faster and more cost-effective results. Project Assistants realizes an organization's most valuable assets are their employees. We provide the necessary tools and resources for your employees to become successful leaders within the organization. We empower your employees with the mantra "Leadership is taken not given." Provide a clear and concise vision of the organization’s goals. Deliver clarity & efficiency for the PM and Solution delivery capacities. Design and develop PPM & ITSM disciplines, including management roles as well as policies & procedures. Deploy the planned solution utilizing the core components of the organization and it's technology. Execute Project Management & Solution Delivery Methodology. Meeting customer needs is critical for a Professional Service Organization’s success. Project (Engagement) Management is the key competency for successfully delivering Engagements and growing a Professional Services Organization. Driving change and innovation by effectively envisioning the organizations effective use of technology is a critical differentiator for great companies. Setting appropriate expectations and delivering to those commitments require excellent Project and Portfolio Management. Building a successful pipeline of products (revenue) by effectively managing the R&D product pipeline drives the difference between winners and losers. Project and Portfolio Management is critical to the success of the R&D Pipeline and the company’s success. "Working with the Project Assistants team on our own project really confirmed in my mind the recipe for success for an Enterprise Project Management deployment. I recommend to any customer to not only look at the software, but also the partner you are leveraging." "Project Assistants is our go to partner and its not because they know Microsoft Project, they know Project Management." "Project Assistants is above the bar in terms of their expertise in regards to their knowledge of the business side as well as the technology side." "They have a high degree of not only project management, but discipline, and also the methodologies around Project Management." This training and reference guide provides a comprehensive coverage of Project Management theory that is applied to the use of Microsoft Project 2016, from the project manager’s perspective. 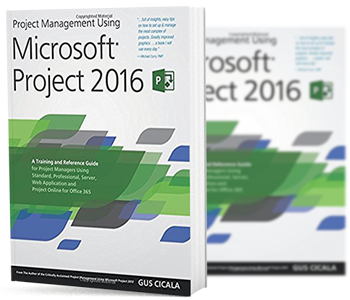 Our debut of Project Management Using Microsoft Project 2013 was well received by the project management community in over 25 countries. How To Sequence Tasks Of A Plan? By clicking submit below, you consent to allow Project Assistants to store and process the personal information submitted above to provide you the content requested.